While I was out and about looking for the newly released models of the Asus tablets, I chanced upon the Technolife convention happening at the SM Megamall events center. For those who are unfamiliar with the place, this one is beside the foodcourt where the ice skating rink used to be. There were a number of exhibitors one of which was the Windows 7 booth which featured their operating system, the newly released Internet Explorer 9 and the very few available Windows Phone 7 selections currently out in the Philippine market. I got a chance to try out the LG Optimus 7 and Im pretty impressed with the smoothness of operation. It does lack the customization that Ive come to love with the Android OS but a few minutes with the devices really wont be able to give a user the full effect of the environment. There was a stage and a blogging and cosplay competition was being held. 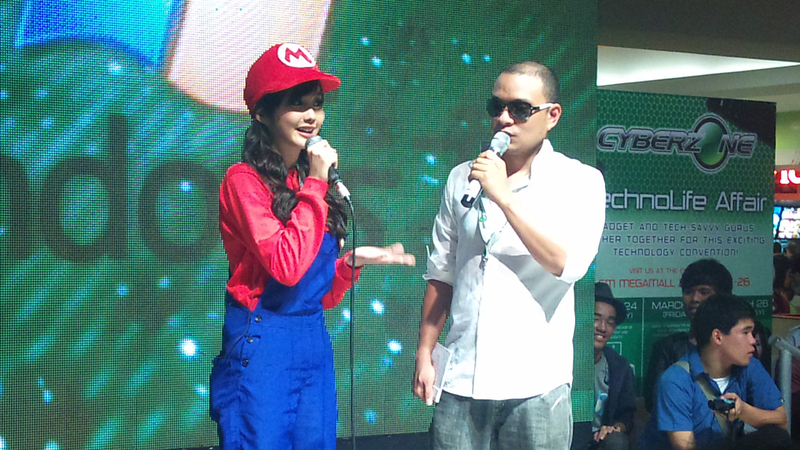 Alodia Gosiengfiao, world renowned cosplayer and Animate, was there celebrating her Nth birthday sporting a very simple and elegant Super Mario outfit. One of the exhibits on the grounds were four of the costumes that she and her sister Ashley have worn from past cosplay events. Prizes were being given away left and right such as cellphones, printers and for the winner of the blogging contest: a brand new Windows Phone! It was a very well deserved win as apparent from the amount of information he was ale to relay within the span of the day for the blog he maintains. I only wished that I had known so that I would have at least had a shot at that prize. This competition is quite new and it is something that opens up new possibilities… kind of like how it is with on-the-spot drawing competitions and similar endeavors. I went home just a few minutes before earth hour struck and Id have to say that alhough I was disappointed from not being able to find the tablets, it was one good ‘exercise’ for me.